Photo Recovery Software to Recover Lost Photos. Recover all your deleted or lost images, videos and audio files of all major formats from different storage media. 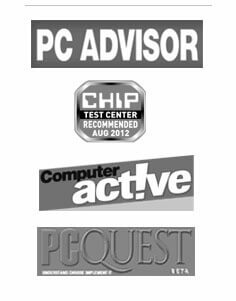 Supported operating systems include Windows 10, 8, WIndows 7, Vista, XP and 2000 & some other earlier versions. Recover from all internal & external drives, memory cards, and digital cameras and computer hard drive. Recover HD movies efficiently and effectively. Photographs and pictures are the gateway to capture the charm and beauty of past time especially the special moments of one’s life. They are the medium to document the feelings and emotions in time and save it for the generations to come. Recall a photo of years ago; it will invoke emotions which make you feel as fresh as before. The pictures of yours when you were a kid, those late night partying photographs, the grand day of your wedding, your parents, friends, and Of course the little cutie pie of your life, each photograph depict feelings which make them much more than a still image. What if you accidentally delete one of such precious photos while surfing on your computer? You will lose the memory which is associated with that photo. Fortunately, you have a solution to recover it back. With the help of Photo recovery software, you can recover the deleted photographs at the comfort of your home, rather than searching for a data recovery firm. The step by step approach of the software allows you to recover all lost and deleted photos by yourself. Photo recovery Software is a step by step guide which will never make you realize that you are using it for the first time. The user-friendly as well as the interactive feature of the software enables you to edit or resize the application wizard as per your comfort. Sometimes it’s not you, who delete the photo accidentally but, the corrupted storage device which do that. Photo recovery software can be used to recover all such lost or deleted photos from numerous storage devices like memory cards, pen drives, CDs, DVDs, camera, external hard drives or any other storage device based on Windows. Photo recovery Software allows you to recover deleted or lost videos, songs, audios or movies as efficiently as the photographs. In short, it gives you an opportunity to access the inaccessible multimedia files while retaining the quality as it is. Some of the video file formats supported by the software are MP4, 3GP, Encoded Movie File (DIVX), MOI Video File, VID, AVCHD, TOD, Divx, MQV, HDMOV, 3G2, MTS, ASX, AJP, etc. Whereas the audio file formats are MP3, DSS, AU, MIDI, WAV, RPS, OGG, M4A and many more. .
You can recover bulk photos or videos from a storage device having capacity as large as 2TB. This turns out as weapon for professionals for the recovery of deleted multimedia files in one go. Photo Recovery Software breaks the barrier of storage limit conveniently and effectively. Many of times, the photo is sorely corrupted due to which the complete recovery of the photo is not possible in any way. In such cases, the Photo recover Software allows you to recover at least the thumbnail of the image. This may relieve you to some extent. After all, something is better than nothing! Right? Stellar photo recovery software can be installed on any machine that has Windows 8, 7, Vista, or XP installed. Once it is installed, connect the storage device from which the photos have to be recovered, launch this software, and scan the device. And, within a few moments, it will display you all recoverable photos, which you can save at a desired location. Stellar Photo Recovery is available for free trial too. With free trial software, you will be able to preview the recoverable photos but cannot save them. In order to save them, you shall buy a full version of this photo recovery software.